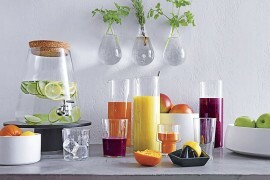 With a warm breeze in the air and the promise of summer days to come, we at Decoist are on a bit of an entertaining kick! 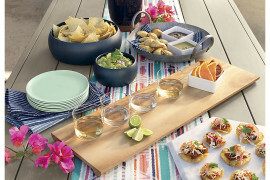 In fact, earlier this week we spotlighted stylish serving pieces for summer entertaining, and today we showcase the magic that results when good design meets good food. 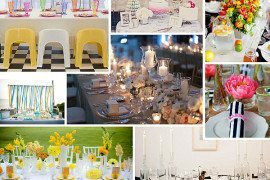 Yes, we’re talking about the art of entertaining! 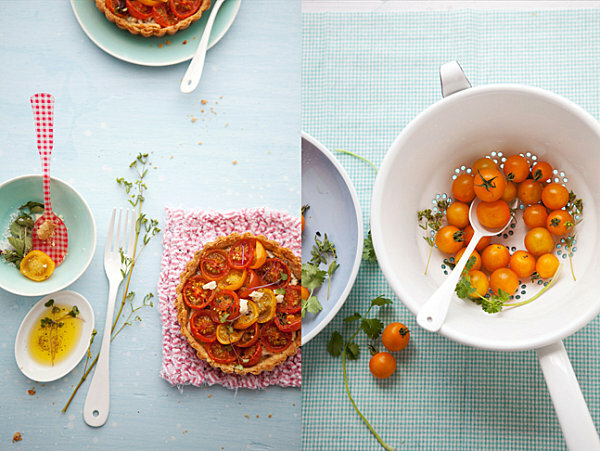 In fact, all of today’s featured goodies and spreads take a designer approach to food styling, and we’re sure you’ll find inspiration in the images that follow. 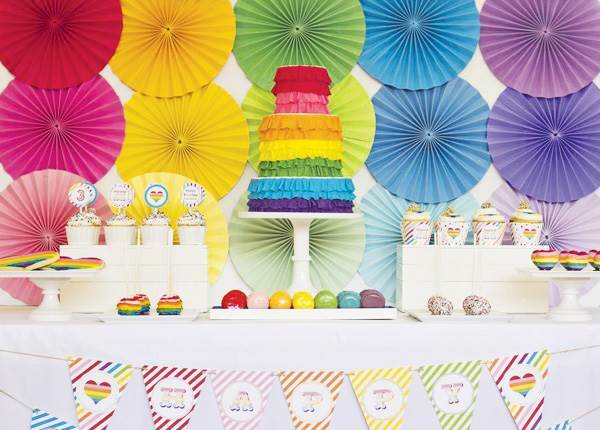 From rainbow ruffles that deck the walls and party tables for special desserts and lavender whipped cream that matches the tabletop decor, there’s something special that happens when the host of a party pays attention to the display as well as the menu. 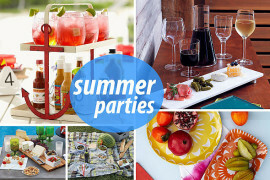 Enjoy the colorful ideas that follow, and let them prompt you to throw your own summer fete! Bon appetit! 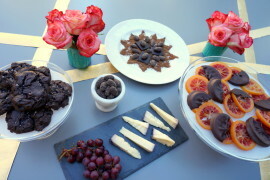 Also from Hostess with the Mostess is the Chic & Rustic Cheese Tasting Table below, styled by All the Frills. 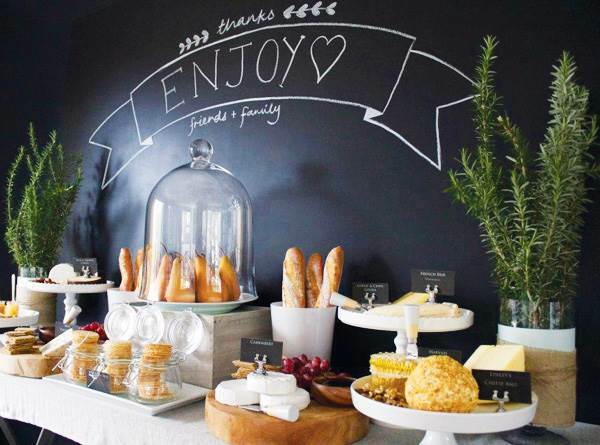 Fresh fruit, gourmet cheese and French rolls are a few of the highlights, along with fresh rosemary and a blackboard background that evokes a true bistro feel. 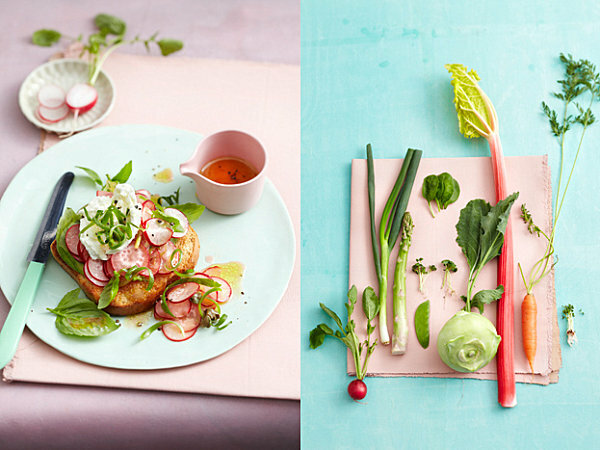 Speaking of beautiful styling, if you’re into food and design, you can’t miss the blog of visual multi-disciplinary designer, prop stylist and photographer Dietlind Wolf! Below we see fresh radishes and assorted greens displayed on dish, napkin and tablecloth in shades of lavender, robin’s egg blue and soft pink. 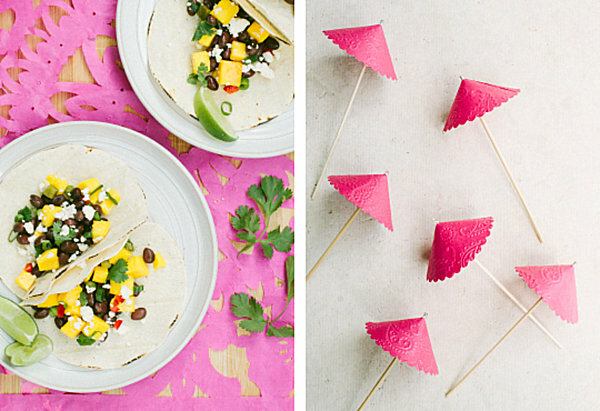 Sometimes the key to letting the food speak for itself is knowing just how to offset it. 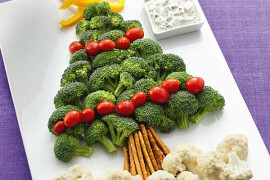 Talk about creating a picture with edibles and color! 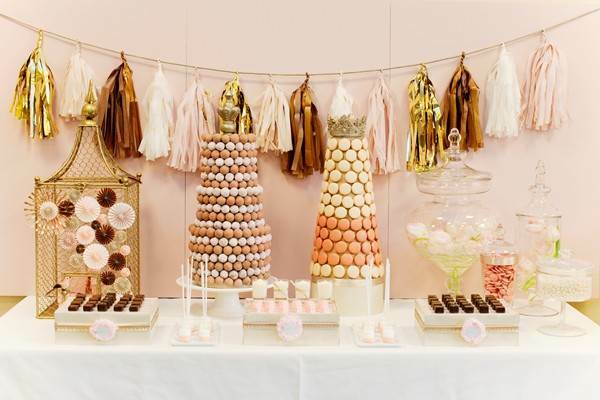 We finish with a series of designer desserts that are sure to end the night on a sweet note. We couldn’t resist the image and recipe below from Camille Styles, which uses tabletop pieces, texture and color to create a treat that may as well be a work of art. 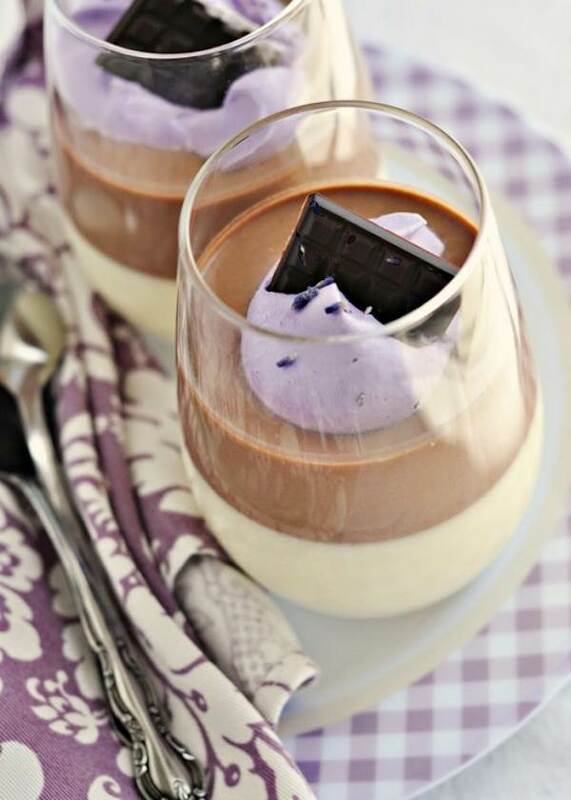 This layered chocolate and lavender-vanilla bean panna cotta is captivating precisely because of its layers, as well as the purple hue achieved by a whipped cream that’s colored with culinary lavender. 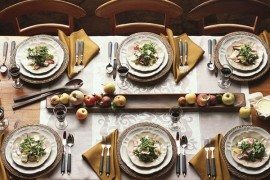 Got lavender napkins or plates? Even better! 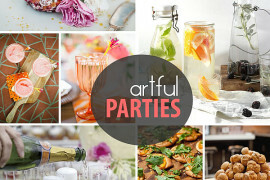 Check out the full recipe at CamilleStyles.com. 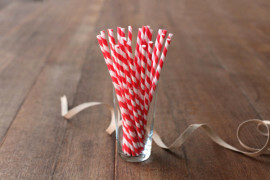 Next we have a DIY project that will add a whimsical, industrial twist to your next dessert spread. 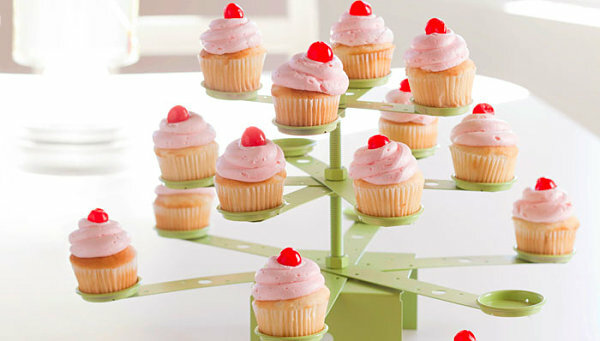 It’s a Cupcake Stand DIY project from Lowe’s, created with satin nickel cup pulls, among other supplies (such as spray paint in an avocado hue). 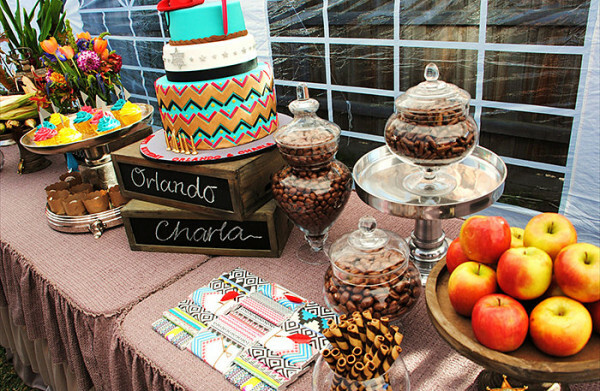 We’re loving how the green of the stand plays off the pinks and reds of the sweets. 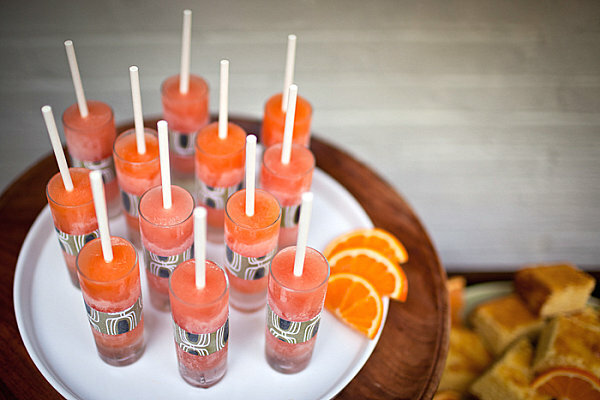 Perfect for pastel treats!